Honda CM91 Super Cub. Honda CL70 All. Honda CT90 All. Honda C70 Passport All Years. Honda S90 ALL. FOR SALE ONE (1) GENUINE HONDA SHIFT SHAFT SEAL. 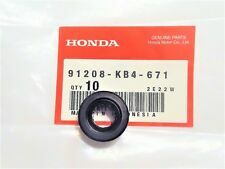 THIS IS THE CORRECT PART FOR THE FOLLOWING HONDA MOTORCYCLES. 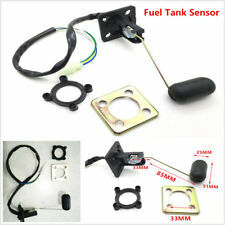 Fuel Petcock Switch Honda Trail CT70 CT90 CT110 (231365841176). Switch Petcock Honda Trail CT70 CT90 CT110. Honda TRAIL CT110(1979-1986). Honda ATC 125M (1984-1985). Honda ATC110 ATC 110 (1979-1985). Honda Fourtrax TRX70. 1X 3L fuel tank. 1X Clamp for the tank. Suitable for motorcycle mount. With built-in oil pipe (fuel tube). Made of high toughness plastic material, oil and anti-corrosion, anti-static, anti-ultraviolet. Honda QA50 All years. Honda ATC70 All years. Honda CT70 1969-1994. FOR SALE ONE (1) GENUINE HONDA SHIFT SHAFT SEAL. 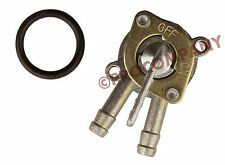 THIS IS THE CORRECT PART FOR THE FOLLOWING HONDA MOTORCYCLES Honda XR50R 2000-2003. 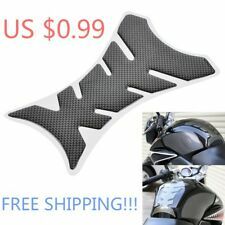 Fits For Universal Motorcycle Such as Honda,Aprilia,KTM,Husqvarna,BMW,Ducati,Kawasaki,Yamaha,Triumph,Suzuki,GAS GAS,Harley,Aprilia. Built-in bendable oil tubing for storing oil and refueling easily. Fuel Tank. RUSTED.This is from a 1978 Honda CT90.shows wear from normal use unless stated otherwise. Used Honda CT90 Gas tank. Has scratches and rust on outside. Light rust inside. Parts may require cleaning and touch up upon receiving but not very much. Again you are purchasing used parts. Used Honda 1969-1971 CT90 gas tank. Light rust inside tank, paint striped, no dents, no cap. Parts may require cleaning and touch up upon receiving but not very much. Again you are purchasing used parts. Used Honda CT90/CT110 1969-1986 gas tank. very light surface rust, paint striped, no cap, no dents. Parts may require cleaning and touch up upon receiving but not very much. Again you are purchasing used parts. Honda CT90 fuel tank that is in USED, but great shape. This tank has been acid etched inside and is nice inside. I have not pressure tested this tank but it held the acid cleaning solution for over a week with no problem. For sale is this used original gas tank from a 1969 Honda CT90. There are no dents in the tank. The tank does not leak. The paint is scratched and worn from use. The inside of the tank needs to be cleaned. Honda CT110 fuel tank that is in USED, but great shape. This tank has been acid etched inside and is nice inside. I have not pressure tested this tank but it held the acid cleaning solution for over a week with no problem. For sale is this used original gas tank from a 1968 Honda CT90 K0. The tank is untested for leaks. The bottom of the tank has been braised in several spots. I tried to get the repaired areas in the last 4 photos. Honda CM90 OR CM91 fuel tank that is in USED, but great shape. Can be used on a CT90 BUT. this is for a CM90 or CM91. This tank has been acid etched inside and is nice inside. I have not pressure tested this tank but it held the acid cleaning solution for over a week with no problem.